With my cousins upcoming ribbon flowers, I am making a variety of flowers by hand. 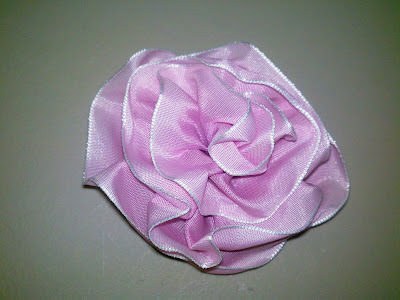 One style of flowers are ribbon flowers. 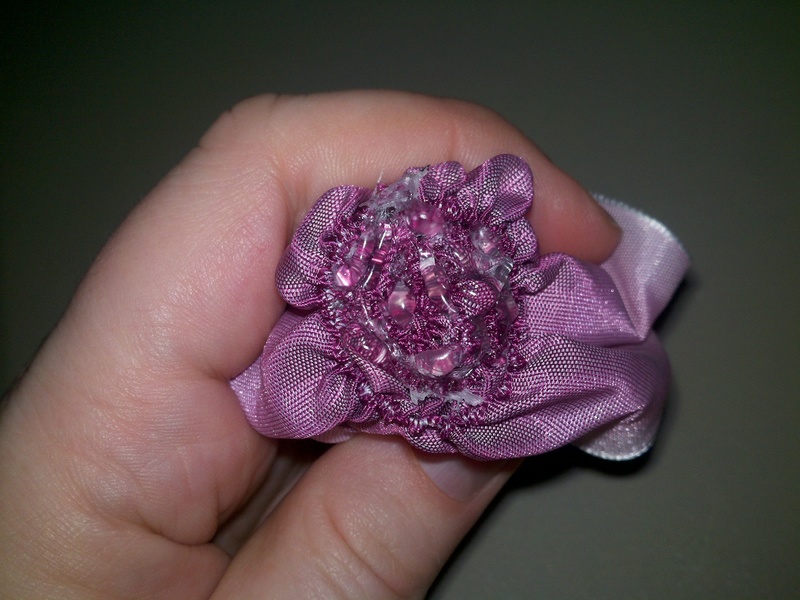 These are relatively easy to make and are incredibly pretty. The above are a handful of the flowers that I made using Ombre style wired ribbon. Cut your ribbon. 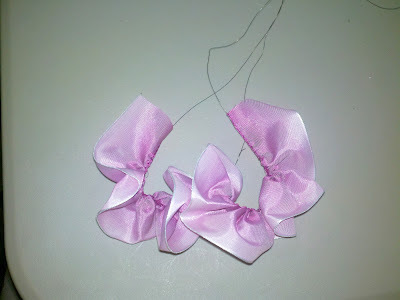 To make the size of flowers above, I cut about 1 1/2 feet of ribbon. 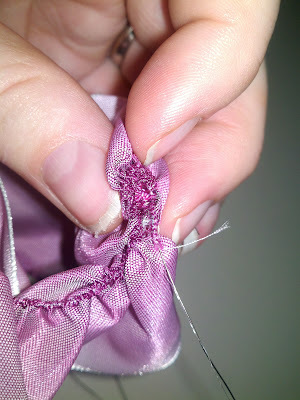 Start by pulling the wire out of one side of the ribbon while gathering the ribbon down the wire. 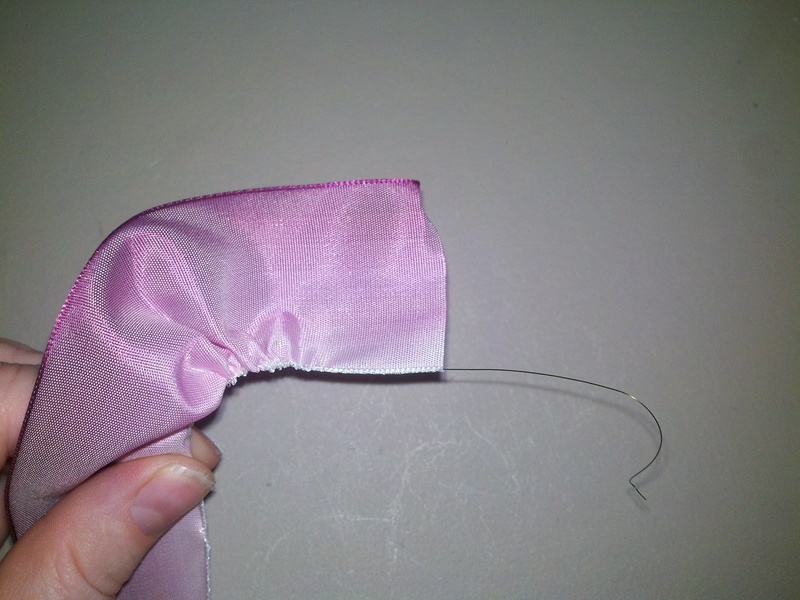 Pull the wire from both ends, gathering the ribbon tightly in the middle. 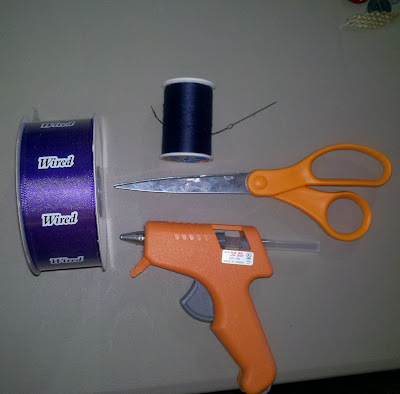 TIP - do not cut the wire off until the flower is complete. 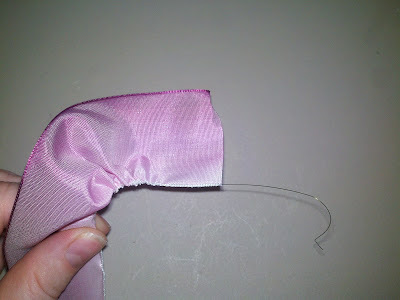 The ribbon may slide off of the wire otherwise. Start with one end of the gathered edge. 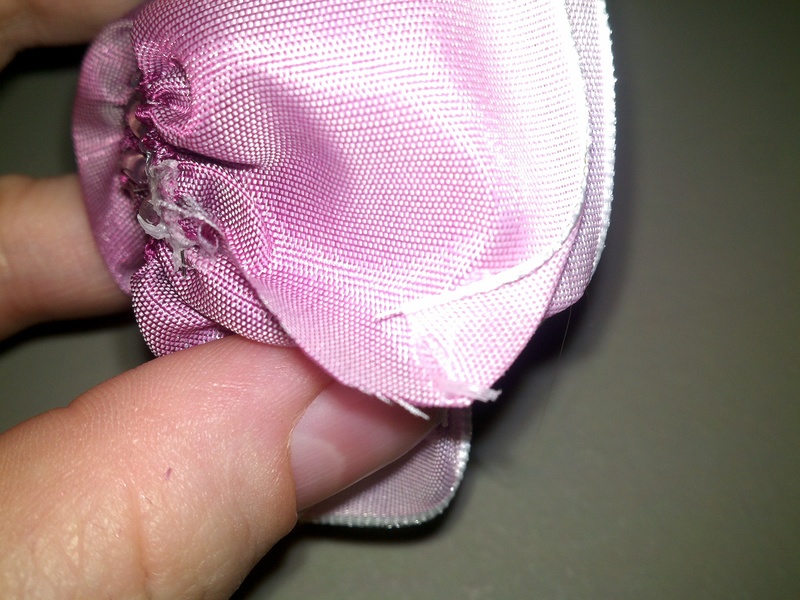 Fold a small amount over and secure with hot glue or thread. 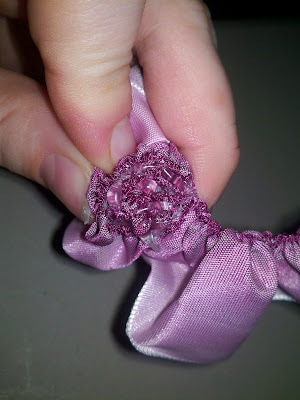 Fold it in the opposite direction (kind of like a zig-zag) and secure with hot glue or thread. Begin wrapping the wired edge around the zig zag or center, gluing or securing with thread along the wire edge. Be sure to pull the material down to keep it out of the way while wrapping. Here is another flower that has an edge that is easier to see. You will want to secure the edge is not gathered in some way. I hot glue the edge down to keep the wire in place. 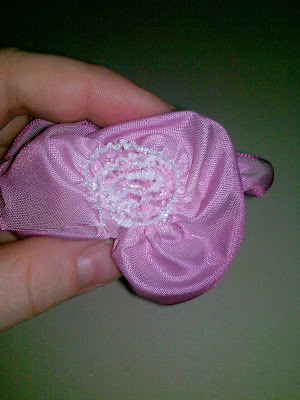 Open the flower up by moving the flower layers around. Ta-da! You have a ribbon flower. 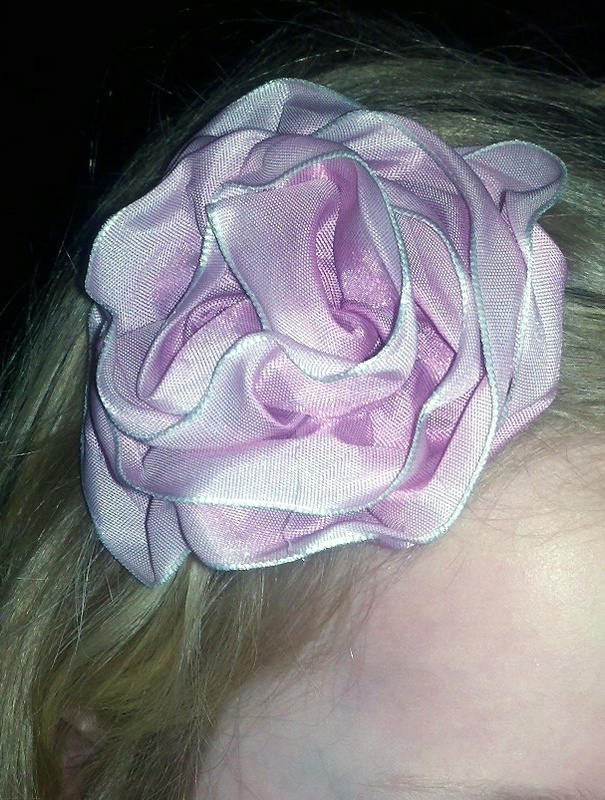 You can glue a backing on to the underside of the flower and affix it to a barrette. 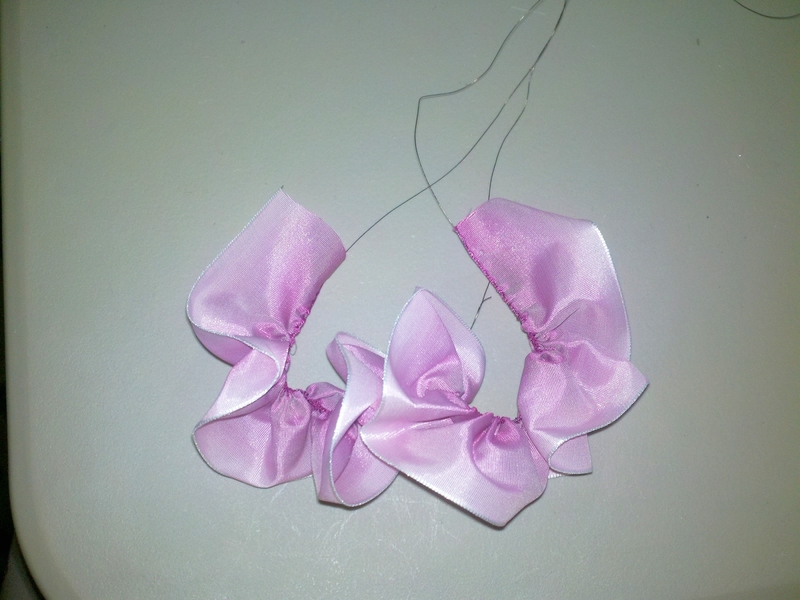 This is one I made for my daughter. 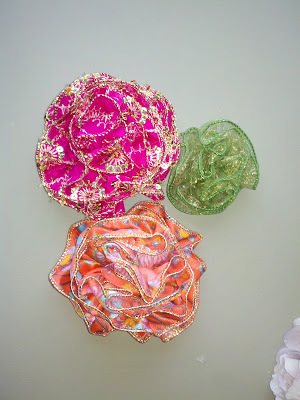 Here are others that I have made using clearance Christmas ribbon. I hope you have fun making these. I know that I have. 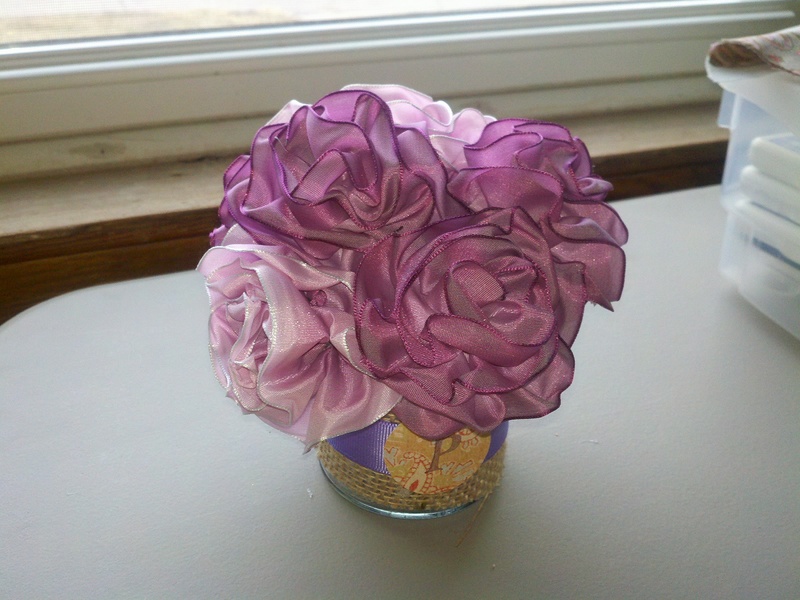 I am working on a video on how to make burlap flowers. I know! A video!